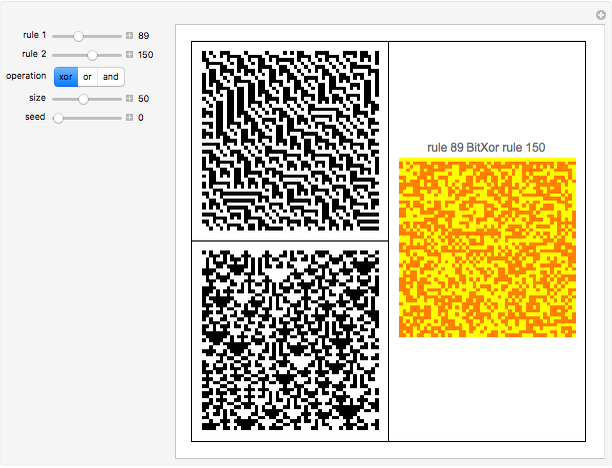 Interesting and complex patterns result from combining the images of two elementary cellular automata rules using binary operations such as and, xor, and or. 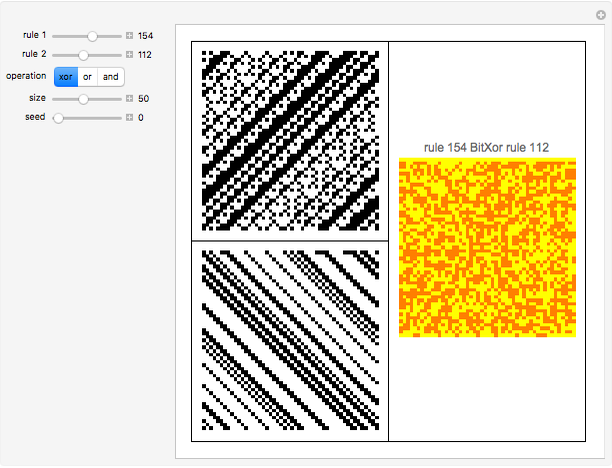 Some nested patterns can also be found. 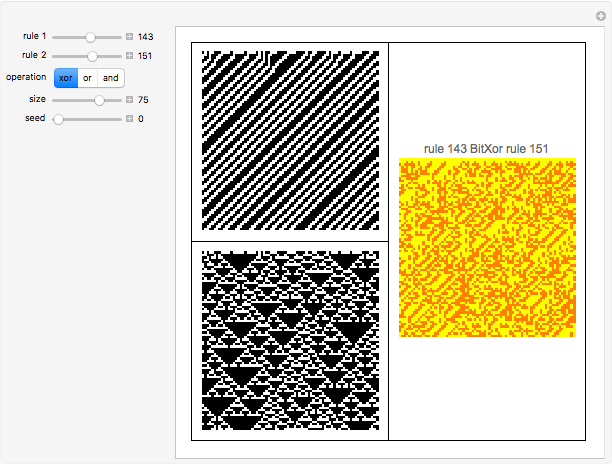 Combining some class II (repetitive patterns) with the xor operator shows patterns with unexpected complex behavior; for example, try rules 27 and 111 or rules 197 and 116. Combining two elementary CA rules with three different operators produces 256×256×3 = 196,608 possible patterns. S. Wolfram, A New Kind of Science, Champaign, IL: Wolfram Media Inc., 2002. Daniel de Souza Carvalho "Combining Cellular Automata Patterns Using Binary Operations"